Many of the Hotels featured within these pages are situated within convenient locations in and around the City. 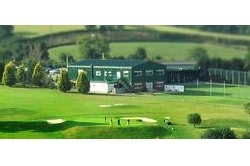 Other Hotels and accommodation providers are located nearby or just outside of Exeter. A Hotel location map has been provided to help with their approximate positions. 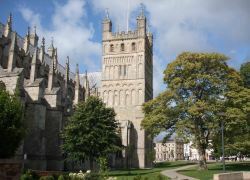 Exeter is an ideal location for you to base your holiday enabling you to branch out visiting the many attractions of Devon. These attractions include the national parks of Dartmoor and Exmoor, the seaside resorts of two coastlines, and the quaint Devonshire villages. If you're staying a while or revisiting then you also have the additional option of day trips to the neighbouring counties of Cornwall, Somerset and Dorset. 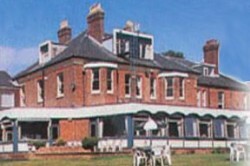 Visitors to Exeter travelling by car will find that some of the larger Hotels offer onsite parking. There are several car parks located around the city and limited street parking within the central areas. The City provides easy access to the M5 motorway and is within easy range of Exeter Airport. There are two main-line rail stations that can be reached from most major UK cities. 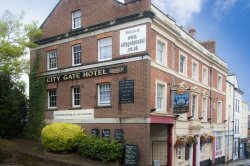 Both stations are conveniently sited for the city centre with Exeter Central station being the closest with a 3 minutes walk to the High Street. 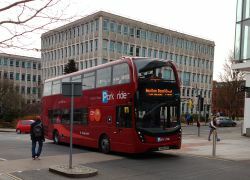 Exeter St Davids station is 5-minutes by bus or taxi from the city centre.